According to my sources both in Annapolis and in Western Maryland, state delegate Brett Wilson (District 2B) – a Republican representing the city of Hagerstown and the Assistant State’s Attorney in Washington County – is expected to be nominated by Gov. Larry Hogan to replace Washington County Circuit Court Judge Donald E. Beachley on the Washington County Circuit Court. The governor’s office announced last Wednesday that Judge Beachley was appointed to the Maryland Court of Special Appeals to fill the term of Judge Robert A. Zarnoch, who retired last September. Beachley’s appointment to Maryland’s Court of Special Appeals, the second highest court in Maryland, will be effective within 30 days. Applicants who wish to be considered for the judicial vacancy will be able to submit their names to Washington County’s Judicial Nominating Commission. Gov. Hogan’s office will review the list of applicants and select a replacement accordingly. Delegate Wilson, who was first elected to the Maryland House of Delegates in 2014, is, according to my sources, expected to apply for the judicial vacancy. Wilson is considered to be the top contender for the appointment. 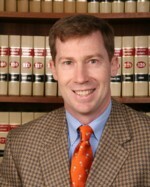 Delegate Wilson is universally respected and admired among Washington County’s legal community. Several lawyers in Washington County describe Wilson as one of the best and brightest legal minds – a formidable prosecutor with a talent for applying justice equally and fairly. In Annapolis, Wilson has earned a reputation as a shrewd pragmatist, seeking solutions to policy questions. If Gov. Hogan appoints Wilson to fill Beachley’s term on the circuit court in Washington County, the Republican Central Committee will be expected to execute its constitutional duties and choose a responsible replacement to fill Wilson’s seat in the House of Delegates. Four names continue to pop up as frontrunners to replace Wilson: former Hagerstown mayor Robert E. Bruchey II, Sentinel Capital Solutions CEO Cort Meinelschmidt, Hagerstown City Council candidate Paul D. Corderman and former state senator and current Hagerstown city councilman Donald F. Munson. Bruchey and Meinelschmidt are both former unsuccessful candidates for the Hagerstown district; Bruchey ran for the seat 2002, Meinelschmidt in 2010. If such a vacancy arises, I would strongly urge Kristin Aleshire to switch political parties, become a Republican and apply for the open seat. It’s a slim chance that Aleshire would be appointed, but it would be nonetheless amusing to watch Aleshire give the Washington County Republican Central Committee an opportunity to be truthful with him about who launched the illegal robocall against him in 2010. If Don Munson applies for the expected vacancy, I would pay good money for front-row seats to his interview with the Republican Central Committee. Perhaps his best friend, former Delegate John Donoghue, a Democrat, who, incidentally, was defeated by Brett Wilson in 2014, could write Munson a glowing letter of support and campaign for him.